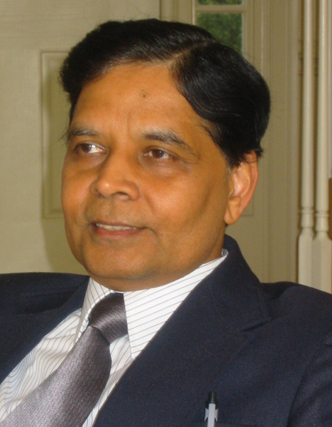 Professors Rajeev Dehejia and Arvind Panagariya examine India’s services-led growth trajectory in the post-reform period, with a specific focus on the role of manufacturing in the growth of the service sector and the impact of economic reforms on the socially disadvantaged. Their research addresses some of the key concerns of growth sceptics and adds valuable knowledge to the current debate on whether liberalisation is, in fact, an inclusive growth strategy in the Indian context. The critical role of manufacturing growth, especially in the labour-intensive sectors, in the early stages of development in labour-abundant economies is widely recognised (for example, Kuznets, 1957 and 1973 and Chenery, 1960). Some of the more dramatic examples from recent history are South Korea and Taiwan in the 1960s and 1970s, and more recently, India and China, which have grown at near miracle rates. The opening of these countries to the world economy at different points in time was followed by accelerated growth. While there remains some controversy over whether openness or industrial targeting is to be credited for the high growth rates, the importance of manufacturing growth in the making of these miracles is rarely questioned except in the case of India. And even in the latter case, the upward shift in the growth rate has been accompanied by an acceleration in the growth rate of manufacturing. A phenomenon that has received far less attention, except in the case of India, is that the upward shift in the growth rate in manufacturing following trade liberalisation is often accompanied by an upward shift in the growth rate in services as well. 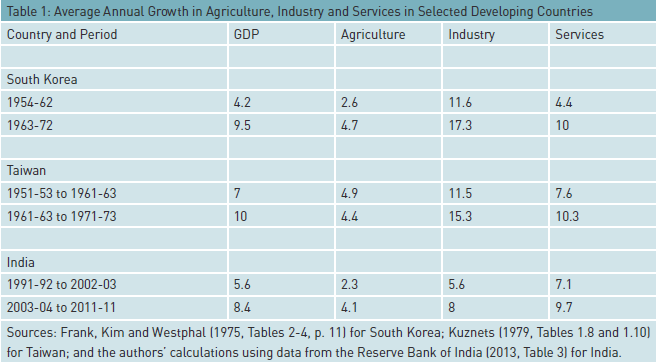 Table 1 documents this shift for South Korea, Taiwan, and India. In each case, the table shows that an acceleration in growth in the gross domestic product (GDP) is accompanied by an acceleration in growth in not just industry but services as well. In the first two cases, which represent the conventional pattern, growth in industry far outstrips growth in services, but the growth acceleration in both sectors in the second period is unmistakable. In the case of India, the relative growth rates of industry and services are unconventional, with the former exhibiting slower growth, but in the second period, there is an acceleration of growth in both sectors simultaneously. Debates on the role of openness in triggering and sustaining growth in labour-abundant economies have generally focused on industry since this is the sector that is often subject to early attempts at liberalisation. This is particularly the case with discussion and analyses of the early growth miracles in East Asia, in particular Singapore, Hong Kong, Taiwan and South Korea, as well the most recent one, China. In the case of India, where services growth has outstripped industrial growth, the role of manufacturing and its liberalisation in sustaining economic growth has instead been questioned. We argue below that a closer look at the data suggests that even in India, manufacturing – and by extension economic reforms – has played a significant role in growth, in particular by spurring services growth. At the same time, given the central role of highly skilled labour in services and the relative absence of labour intensive manufacturing-led growth, the concern has been raised by growth sceptics that the services-led growth scenario is leaving behind India’s disadvantaged minorities. We argue below that this concern is not borne out by the data. In the case of India, where services growth has outstripped industrial growth, the role of manufacturing and its liberalisation in sustaining economic growth has instead been questioned. We argue below that a closer look at the data suggests that even in India, manufacturing – and by extension economic reforms – has played a significant role in growth, in particular by spurring services growth. Whether we credit openness or industrial targeting, the object of policy in the case of Taiwan and South Korea was industry. Yet, services growth also accelerated alongside industrial growth. In the case of India, while it is true that service sectors such as banking and finance, civil aviation and telecommunications were themselves subject to significant liberalising reforms, it is also true that other services such as transportation, education and health that were not subject to any serious policy changes saw accelerated growth as well. Why should that be the case? We hypothesise that there was a spill over from manufacturing growth into service sector growth through one of two channels: a direct (derived demand) effect from the manufacturing sector’s demand for domestic services such as transport, telecommunications and business activities as inputs; or (or possibly and) an indirect channel whereby accelerated growth in manufactures increases incomes and the demand for non-traded services such as passenger travel, tourism, restaurant food and real estate activity. We tested this hypothesis using Rounds 57 and 63 of the National Sample Survey Organisation’s (NSSO) firm-level surveys of service sector firms carried out in India in 2001-02 and 2006-07.1 The first of these surveys was done in the lower-growth period and the second in the higher-growth period. Moreover, since significant liberalising reforms such as the end to licensing on consumer goods imports and substantial cuts in tariffs were undertaken during the first half of the decade 2000-2010, the first survey can be thought of as having been done in the pre-reform period and the second in the post-reform period. Looking first at total gross value added (GVA), we find that each 1% increase in manufacturing growth led to a 2.58% increase in services growth among large (i.e. with five or more workers) urban firms through the direct, derived demand channel for services as inputs in manufacturing. We also find a negative and statistically significant direct effect on smaller urban firms (i.e. with less than five workers), suggesting the possible displacement of small firms. The indirect effect of manufacturing growth on services (i.e. not mediated by manufacturing demand for services as inputs) was typically not a statistically significant driver of services growth. With respect to total employment, for large urban firms, we find a positive direct effect of growth in manufacturing on employment growth (a 1% increase in manufacturing leads to the addition of 0.4 workers per firm – 20% relative to average service sector employment) and an insignificant indirect effect. Both the direct and indirect effects of manufacturing growth on GVA per worker (a proxy for worker productivity) in large urban firms turn out to be positive and statistically significant. A 1% increase in manufacturing growth leads to a 1.8% increase in GVA per worker for service sectors that provide inputs to manufacturing and an additional 1.3% increase in GVA per worker across the board for all service sectors. This last fact is particularly important as it shows that manufacturing growth leads not only to size growth but also to productivity growth in large urban services firms. A second hypothesis is that relatively capital intensive services, such as transport, computer services and media, use imported inputs more intensively than non-capital intensive services, such as restaurants, property, education, health and personal services, and therefore benefitted from tariff reductions on the former. Again using data from the NSSO service firm level surveys conducted in 2001-02 and 2006-07, we find that large urban service firms in capital-intensive services grew 60% faster in the post-economic reform period than the pre-economic reform period, relative to firms in non-capital intensive services. Even more interestingly, when we consider GVA per worker, the positive and statistically significant effect of the capital intensity variable carried over to urban and rural, large and small firms and ranges from 54% to 92%. Under the assumption that the capital intensity variable correctly captures the need for traded inputs, improved access to the latter has had a positive and statistically significant effect on services growth across the board. We find that large urban service firms in capital intensive services grew 60% faster in the post-economic reform period than the pre-economic reform period, relative to firms in non-capital intensive services. Even more interestingly, when we consider GVA per worker, the positive and statistically significant effect of the capital intensity variable carried over to urban and rural, large and small firms and ranges from 54% to 92%. At the highest end of business activity, this absence is, of course, across a much wider spectrum than just the financial sector: out of 55 Indian billionaires (in terms of US$) on the latest Forbes list, not one is from the SC or ST category. Yet, it would be incorrect to conclude from either this fact or the episode narrated by Gupta that the system has produced no entrepreneurs from the socially disadvantaged groups. While it is true that during the years of slow growth, the economy produced few significant entrepreneurial successes among the socially disadvantaged, the recent acceleration in growth is beginning to pull them into its fold. The “pull-up” has not yet brought them all the way to the top, and therefore into the Forbes billionaire list, but it has at least produced rupee billionaires from among the SCs, if not the STs. In fact, newspapers have recently widely reported on 30 “Dalit crorepatis” (Dalits with a net worth of over Rs. 10 million) who were invited for a meeting specially organised for them by the Planning Commission of the Indian government. Among the invitees was Milind Kamble, who serves as chairman of the Dalit Indian Chamber of Commerce and Industry (DICCI), formed in 2005. In an April 2011 article in the GlobalPost, Kamble is reported to have said, “Including mine, most of the big Dalit-owned businesses are 15 years old. With the emergence of globalization and the disappearance of the LicensePermit Raj, many opportunities appeared and many of us jumped on them.” He goes on to describe the meeting at the Planning Commission, noting, “The Planning Commission was stunned when they asked how many of us used government schemes to build their businesses. Only one entrepreneur from Mumbai raised his hand and described how he had applied for $20,000, spent three years visiting government offices to chase his money and fi nally got $15,000.” Since July 2011, The Economic Times, India’s leading financial daily, has been profiling prominent Dalit entrepreneurs (Gokhale and Chumbhale, 2011 and Rajagopal, 2013). While anecdotes of entrepreneurship among Dalits are thus beginning to filter through, almost nothing is known of entrepreneurship among the STs. More generally, systematic data on entrepreneurship among either of these disadvantaged groups is entirely lacking: there is no information about their shares in which and how many enterprises, value added and employment; the sectors in which they operate; or the states in which they are concentrated. Nor do we know how they fare relative to each other, to other backward castes (OBCs) or the remaining castes − sometimes called the forward castes (FCs). And finally, we lack systematic information on how the accelerated growth under the reforms has impacted entrepreneurship among these groups in both absolute and relative terms. Our goal, in this section, is to present systematic evidence of the role played by entrepreneurs belonging to various social groups. Scholarly literature by economists on the impact of reforms and accelerated growth on poverty and inequality among the traditionally disadvantaged groups is now slowly advancing. Mukim and Panagariya (2012) provide a comprehensive analysis of poverty among the SC and ST populations relative to the general population since the early 1980s. They find that while the levels of poverty for the SC and ST populations remain significantly higher than those for the general population, higher growth has been associated with steadily declining poverty, not only for the general population but for these socially disadvantaged groups as well. They find no evidence that rising incomes have left the disadvantaged groups behind. Our own analysis exploits the two India-wide NSSO surveys of service sector enterprises described earlier. Both these surveys identify the social group of the owners of proprietary and partnership enterprises, but, unfortunately, not of cooperative and corporate enterprises. Insofar as the latter set of enterprises account for a very substantial proportion of services output and also represent the more successful enterprises, their exclusion naturally distorts the picture we draw of the relative importance of various social groups as entrepreneurs. But given that we currently have almost no systematic data on this subject, this analysis constitutes an important step forward.2 We identify the shares of various social groups in the number of enterprises, GVA and workers employed. We also analyse these shares according to enterprise size in terms of workers. In addition, we identify the shares of entrepreneurs by social group in different sectors and states. Finally, we throw light on growth in GVA, the number of enterprises, and employment by social groups, sectors and states between 2001-02 and 2006-07. Our results reinforce the findings of exisiting literature. We find that the SC and ST groups do lag behind other social groups in terms of their shares in GVA, workers employed and number of enterprises owned in a large number of services sectors covered by our data. This is immediately apparent when we look at Table 2, in particular at round 57, where the share of STs and SCs is far below their population share, summarised in Table 3. But the presence of these groups in entrepreneurial activity is far from negligible. More importantly, there is no truth whatsoever to the assertions by many growth sceptics that growth is leaving these groups behind. We see in Table 2 that ST entrepreneurs, who have been at the greatest disadvantage, have also made the largest gains between 2001-02 and 2006-07. Overall, in terms of workers employed and enterprises owned, SC entrepreneurs have a presence in the services sectors that is not far out of line with the SC share of the population, but they are in enterprises with below average productivity. As a result, their share in GVA is well below their population share. But they too have grown alongside other entrepreneurs. There is no truth whatsoever to the assertions by many growth sceptics that growth is leaving these groups behind. ST entrepreneurs, who have been at the greatest disadvantage, have also made the largest gains between 2001-02 and 2006-07. Overall, in terms of workers employed and enterprises owned, SC entrepreneurs have a presence in the services sectors that is not far out of line with the SC share of the population, but they are in enterprises with below-average productivity. Interestingly, during the five years we analyse, the FC groups, which consist of the “privileged” castes, are in retreat in virtually all dimensions in the service sector. The major gains have been reaped by the OBCs. Indeed, much of our analysis shows that the most important source of competition for SC entrepreneurs are OBC entrepreneurs. The conclusion from this brief review of the data is that the SCs and STs are well behind the OBCs and FCs in the area of entrepreneurship, as in other areas such as income, wages and educational achievement. But both groups have shared in economic growth, with the ST group − which is farther behind than the SC group − gaining the most in the service enterprises we have studied. We also find at best limited evidence that the OBC population is at a significant disadvantage. Indeed, it has a presence commensurate with its population share and has been rapidly displacing FC entrepreneurs in the enterprises we have studied. 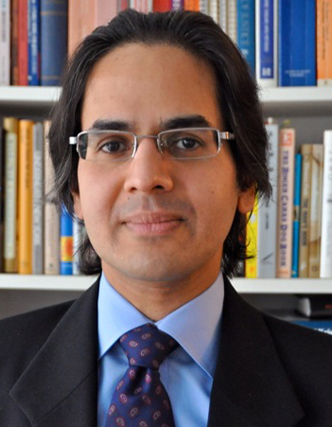 The research discussed in this article has been supported by Columbia University’s Program on Indian Economic Policies, funded by a generous grant from the John Templeton Foundation. The opinions expressed are those of the authors and do not necessarily reflect the views of the John Templeton Foundation. This article draws on research previously circulated as Dehejia and Panagariya (2012a), Dehejia and Panagariya (2012b) and Dehejia and Panagariya (2014). Associate Professor of Public Policy at the Robert F. Wagner Graduate School of Public Service, New York University, New York, and a Faculty Research Fellow at the National Bureau of Economic Research, Cambridge, Massachusetts. Professor of Economics and the Jagdish Bhagwati Professor of Indian Political Economy and Director of the Program on Indian Economic Policies at Columbia University, New York.